Ukraine is seeking to step up its military co-operation with China in aircraft building, tank construction and in air defense. 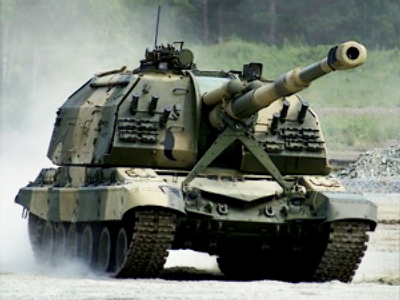 The Russian media claims that it would mean selling secret Soviet military technologies to the Chinese Dragon. “Ukraine is ready to intensify military cooperation, the exchange of military delegations and attachés, as well as broadening training for Chinese military personnel in the educational centers of the Ukrainian Defense Ministry,” the former Soviet republic’s premier Nikolay Azarov said at a meeting with the Chinese Chief of the General Staff, Colonel-General Chen Bingde. 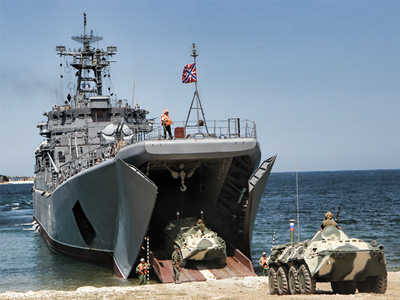 According to Azarov, cooperation in such areas as the construction of heavy transport aircraft, heavy ships and hovercrafts, tanks, and air defense would have good prospects. The Prime Minister noted that Ukraine has a lot of potential when it comes to radar technologies. “The famous “Stealth” is perfectly picked up on our radars,” he said, as cited by UNIAN agency. The top official instructed the government to develop a 5-10 year cooperation program between Ukraine and China – which was declared a strategic partner back in June of this year. The statements were made shortly after the talks between the Russian and Ukrainian Presidents Dmitry Medvedev and Viktor Yanukovich in Sochi, which yielded few results. Yet again, the gas issue remains one of the main stumbling blocks in relations between the two neighbors. During the closed-door meeting, Medvedev called on Yanukovich not to politicize the matter, reported RIA Novosti, citing a Kremlin source. However, it is unlikely that Kiev is ready to consider gas cooperation as a purely business matter. The news website svpressa.ru (Free Media) points out that so far, relations between Moscow and Kiev are not so rosy in comparison with current prospects for Ukrainian-Chinese cooperation. Earlier last week, Azarov complained that declared “Russian-Ukrainian projects on cooperation and integration in the aircraft industry, machine building, transport infrastructure, and high technology have yet to develop beyond the discussion phase," quoted the Ukrainian News Agency. The politician also accused Moscow of limiting the supplies of Ukrainian metal pipes, meat, milk and sugar within the territory covered by the Customs Union between Russia, Belarus and Kazakhstan. Meanwhile, Kiev’s ties with the West have lately been overshadowed by international criticism of the arrest of former Prime Minister Yulia Tymoshenko. She has been charged with abuse of power and damaging the national economy by signing a 2009 gas transit deal with Russia. Many in the US and Europe consider the case to be politically motivated. Given all that, it is quite logical that Kiev is seeking to broaden its ties with the East, in particular with China – which has huge markets, a growing appetite for technologies and is ready to invest. The Asian state has been buffing up its military might in recent years and has significantly increased its defense budget. 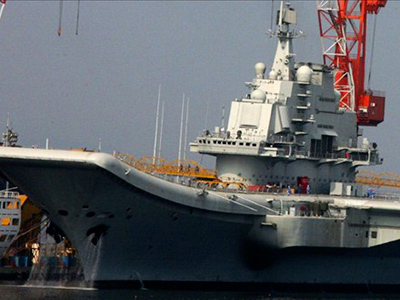 On Sunday, Chinese first aircraft carrier returned to the port of Dalian after completing its initial sea trials. The 60,000 ton warship, formerly known as “Varyag”, was bought as an empty shell from the Ukraine in 1998. The republic got the vessel – which was 67 % ready – after the collapse of the USSR and sold it to China for the price of “scrap metal”, reminds Novy Region news agency. 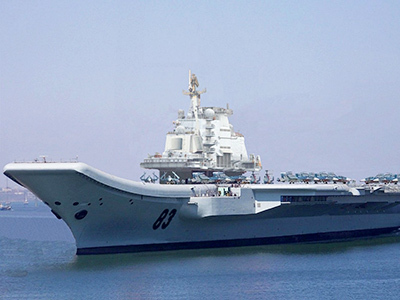 The carrier is expected to officially start service with the Chinese Navy in August 2012 and a naming ceremony for the ship is to be held next October, Xinhua reported. 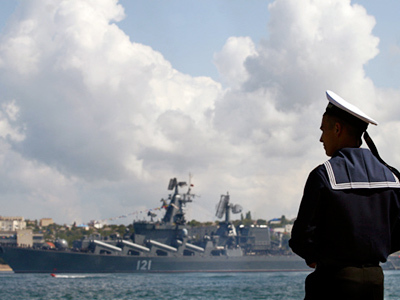 In July, Russia accused Ukraine of violating its intellectual property right over the sale of technical documentation of the Russian-developed Zubr air-cushion landing ship to China. The Russian national arms export company Rosoboronexport and Beijing had been negotiating a deal for quite a while, but failed to come to a compromise. Meanwhile, Chinese talks with the former Soviet republic secured the Asian state the desired technology. Last year, it came to light that Chinese engineers had developed the J-15 naval fighter, which is believed to be a clone of Russia's Su-33 deck-based fighter jet. The Asian state had earlier bought the aircraft prototype – the Soviet T10K – from Ukraine, and used it to develop its own version. Meanwhile, the People’s Republic seems to be hunting not only for Soviet technologies, but also for the technological achievements of Moscow’s former Cold War rival – the USA. It is alleged that Pakistan let Chinese military engineers examine the wreckage of a top-secret US stealth helicopter that crashed during the raid while resulted in the death of Osama bin Laden, reported The New York Times, citing American officials and other intelligence sources. The Financial Times, also quoting an individual from intelligence circles, wrote that "the US now has information that Pakistan, particularly the ISI, gave the Chinese military access to the downed helicopter in Abbottabad." He added that Chinese engineers were allowed to examine the wreckage, take photographs of it and, also, to take samples of the special radar-absorbent material used to create the “stealth” technology. The fast growing military might of China – which has the largest population on the planet – is cause for concern for its neighbors in the region as well as for the US. Allegations that the Asian country might be trying to get access to secret developments of other powers only exacerbates matters. 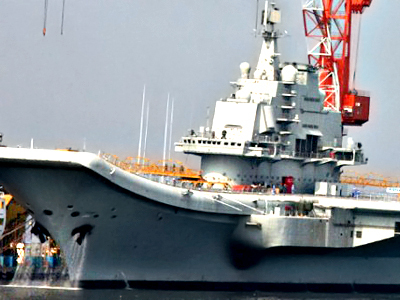 While defense bodies have to consider security issues, no matter how peaceful Chinese intentions are, producers have to worry about the safety of their developments, since there is no guarantee a prototype of their inventions might soon appear on the markets under a new name and at a cheaper price. Anyway, the whole world has long been in the habit of using China’s four greatest inventions – paper, gunpowder, the compass, and printing. Perhaps they believe it is time for the debts to be paid back.